No stranger to the two-wheeler, ex-Talking Head David Byrne this fall will publish “Bicycle Diaries,” a 320-page text-and-photo account of his observations gleaned while cycling through the world’s cities while on tour. Byrne famously has relied on bicycles as his primary means of transportation at home in New York for decades, and also takes them on tour to sight see. Recently, he even designed new bike racks for New York City. 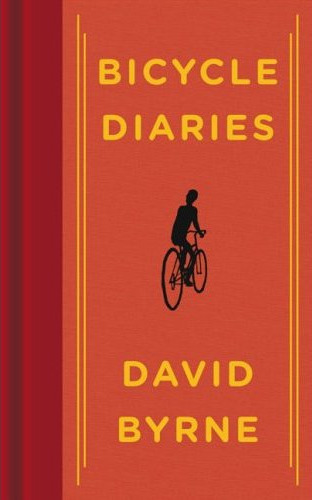 “Bicycle Diaries” will be published Aug. 6 in the U.K. and Sept. 17 in the U.S.